﻿Janie Dee is one of this country’s treasures of the stage who this week makes a fleeting dash from Leicester’s Curve Theatre, where she has been playing Dolly Levi to rave reviews for the last few weeks, to a brief residence at one of the new London cabaret venues, the Crazy Coqs at Brasserie Zedel. I caught up with Janie shortly before she headed up the M1 for her final week in Leicester. Dashing from gig to gig seems to be the current hallmark of this busy actress. Hello, Dolly! followed hard on the heels of her appearance in NSFW at the Royal Court, and whether it be in Shakespeare, modern drama or musical theatre, for more than twenty years, Dee has been delivering excellence in all of her stagecraft. Gaining a Best Supporting Actress Olivier Award as a sparkling and truly memorable Carrie Pipperidge in Nicholas Hytner’s 1992 Carousel at the National Theatre, a performance that is even today described by Wikipedia as amongst the top three ever to have been played of that role globally, defined her starry potential and also introduced her to Cameron Mackintosh who with a canny eye for transfer potential, was at that time adopting a wonderfully philanthropic approach to the National’s musicals. Mackintosh wanted Dee to transfer across the river with the box office smash that the show had become, but a combination of commitment and also professional choice, led her to decline the producer’s advances. Nonetheless, she speaks glowingly of Mackintosh’s commitment to the musical theatre genre and has nothing but sincere and considered praise for his recently released film of Les Miserables. Dee is also a member of that select group of UK performers who has achieved recognised success on Broadway (make it there and you can make it anywhere, so it is sung) with her creation of Jacie Triplethree (android JC 333) in Alan Ayckbourn's Comic Potential, a multi-award winning performance in London that went on to achieve numerous New York nominations. She has garnered critical acclaim for roles in regional theatre as well as London, with particularly strong working relationships being established with Paul Kerryson in Leicester (who also directed the most recent ‘ Dolly!) and Jonathan Kent at Chichester. 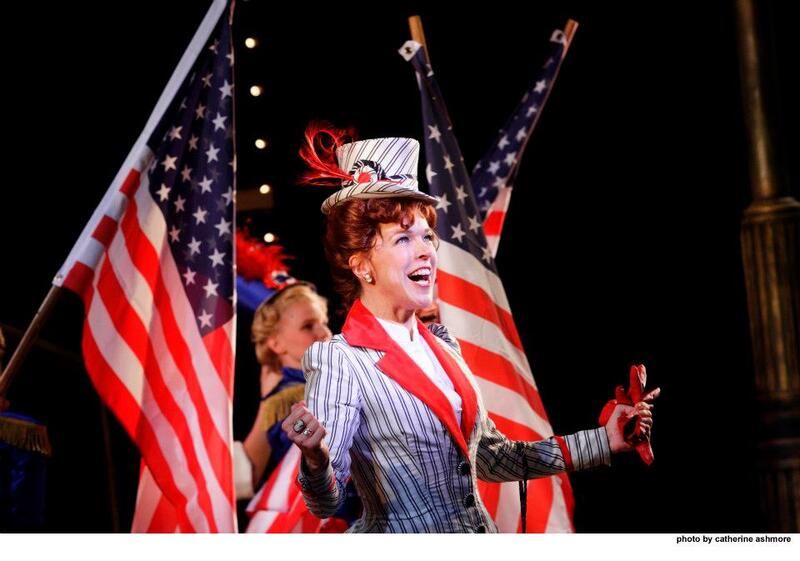 Dee as Dolly Levi in Leicester Curve's recent Hello, Dolly! ﻿When the role of Dolly Levi was offered to Dee she was hesitant, mindful not only of Streisand’s giant shadow but also of Samantha Spiro’s successful 2009 London turn in the role and initially was inclined to decline. Fate, however, had fortuitously intervened, with the complete coincidence of her father, for whom the show is a personal favourite, asking her “So when are you going to play Dolly, Janie?”, just a week or so before Kerryson actually approached her with the part. Her father’s plea convinced the leading lady to accept and all who have seen the Leicester show are the richer for it. Dee was already familiar with the work of ‘Dolly’s composer, Jerry Herman, having played the female lead in the most recent West End production of his Mack and Mabel. Herman made the trip to London to see the show for himself, establishing a distinct bond of mutual admiration between writer and performer and sharing with her his underlying philosophy of a strong musical theatre plot, that “people need to love and to be loved”, a writer’s note that Dee has evidently absorbed into her recent hilarious yet sensitive and intuitive performance as New York's professional matchmaker. Showbiz is of course not without its knocks and Dee, who made her Hello, Dolly! entry each night from a seat in row 8 of the stalls, talks anecdotally of an audience member in her 80’s, not recognising that the show's star was sat in front of her, commenting quietly to the actress that a friend (also elderly) who had already seen the show thought it “really wasn’t very good at all“ ! With those words of criticism ringing in her ears, Dee then had to take the stage and launch into the show’s wonderful opening number Call on Dolly. Suffice to say, Dee was the consummate trouper and by the end of the performance, the 80 year old buttonholed her, to say how wonderful it all had been! And thus to the West End, where today Miss Dee commences her residency. With pianist Ben Atkinson who is fresh from musically directing her in Leicester, the two have had plenty of time to rehearse together and polish the set. She talks of a song list including a smattering of Fats Waller combined with other numbers from era and her take on some of the classics of the American Songbook is eagerly awaited. If you like your music like your bourbon, long slow and smooth with moments of dancing liveliness, then an evening in the intimate cabaret company of this sublimely talented actress is likely to prove time wisely and wonderfully spent. 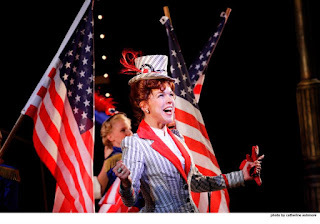 My review of Hello, Dolly! at Leicester's Curve can be found here. Janie appears in cabaret at the Crazy Coqs at Brasserie Zedel until Saturday January 26th 2013, reviewed here.